Add this to the list of things I never expected to be doing: opening a grocery store. At last year’s Open Help Conference, I gave a talk titled Community Lessons From IRL. I told the story of how I got involved in opening a grocery store, and what I’ve learned about community work when the community is your neighbors. I live in Cincinnati, in a beautiful, historic, walkable neighborhood called Clifton. We pride ourselves on being able to walk to get everything we need. We have a hardware store, a pharmacy, and a florist. We have lots of great restaurants. We had a grocery store, but after generations of serving the people of Clifton, our neighborhood IGA closed its doors nearly four years ago. The grocery store closing hurt our neighborhood. It hurt our way of life. Other shops saw their business decline. Quite a few even closed their doors. At restaurants and coffee houses and barber shops, all anybody talked about was the grocery store being closed. When will it reopen? Has anybody contacted Trader Joe’s/Whole Foods/Fresh Market? Somebody should do something. “Somebody should do something” isn’t doing something. If there’s one thing I’ve learned from over a decade of working in open source, it’s that things only get done when people get up and do them. Talk is cheap, whether it’s in online forums or in the barber shop. So a group of us got up and did something. Last August, a concerned resident sent out a message that if anybody wanted to take action, she was hosting a gathering at her house. Sometimes just hosting a gathering at your house is all it takes to get the ball rolling. 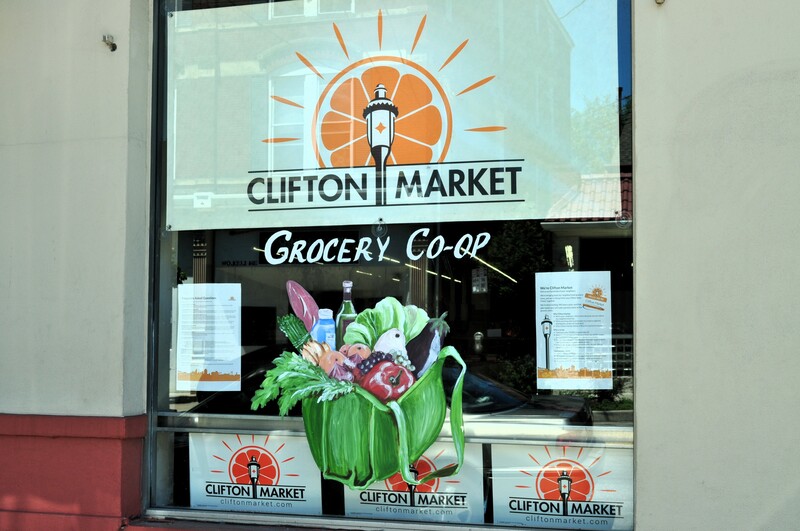 Out of that meeting came a team of people committed to bringing a full-service grocery store back to Clifton as a co-op, owned and controlled by the community. Thus was born Clifton Market. For the last 14 months, I’ve spent whatever free time I could muster trying to open a grocery store. Along with an ever-growing community of volunteers, I’ve surveyed the neighborhood, sold shares, created a business plan, talked to contractors, negotiated real estate, and learned far more about the grocery industry than I ever expected. In many ways, I’ve been well-served by my experience working with volunteer communities in GNOME and other projects. But a lot of things are different when the project is in your backyard staring you down each day. Opening a grocery store costs money, and we’ve been working hard on raising the money through shares and owner loans. If you want to support our effort, you can buy a share too.